People will buy things when it’s easy for them to do so. 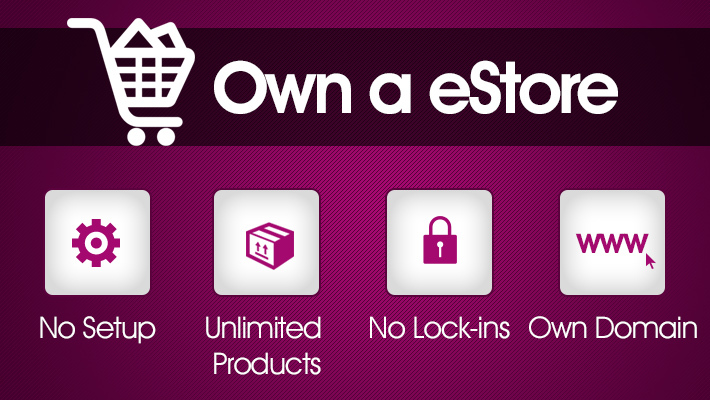 We make online buying easy for your valuable customers! Electronic commerce, commonly known as e-commerce or eCommerce consists of the buying and selling of products or services over electronic systems such as the Internet and other computer networks. The amount of trade conducted electronically has grown extraordinarily with widespread Internet usage. E-commerce or electronic commerce involves carrying out business over the Internet with the assistance of computers, which are linked to each other forming a network. To be specific ecommerce would be buying and selling of goods / services and transfer of funds through digital communications. Every online business in the world is different yet there remains one constant and that is consumers want things to be simple and to leave with a feeling of satisfaction in their purchase. We will customize your eCommerce store to ensure that the buying processes are ideal for your particular inventory and customer base. Our streamlined back office tools will also tie in your accounting and fulfillment systems and can help you reduce costs. 99.99% Optimized - include all product pages. 100% SEO & Social Media Friendly Website Search. Social Media Optimized Product & Categories Pages. Fantastic CMS for easy maintenance. 72interactive is a leading custom eCommerce website development company in Delhi NCR. We have several packages to offers starting from FREE eCommerce Store to Rs 2,50,000 lac plus, these packages are design keep in mind current market requirement. Please feel FREE to speak to us at 9811122212 to know more about our packages or click on the links below.